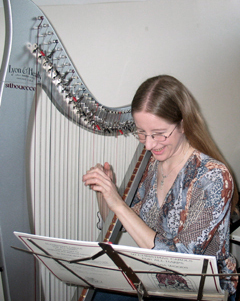 I've been playing the harp for about 15 years. I currently play a Lyon & Healy "Silhouette," a fully electric lever harp. I built an electric violin as part of a music engineering course at Caltech (EE/Mu 107). The construction details and some sound samples are available here. I did a lot of the art and design work for the 2015 MIT Mystery Hunt, which can be seen here. I enjoy swimming and I am a NAUI-certified scuba diver.